We'll use your preferred measurement system to constrain the gallery size. On the left is the width and on the right is the height. Change the dimensions to begin limiting or including the templates that show up. 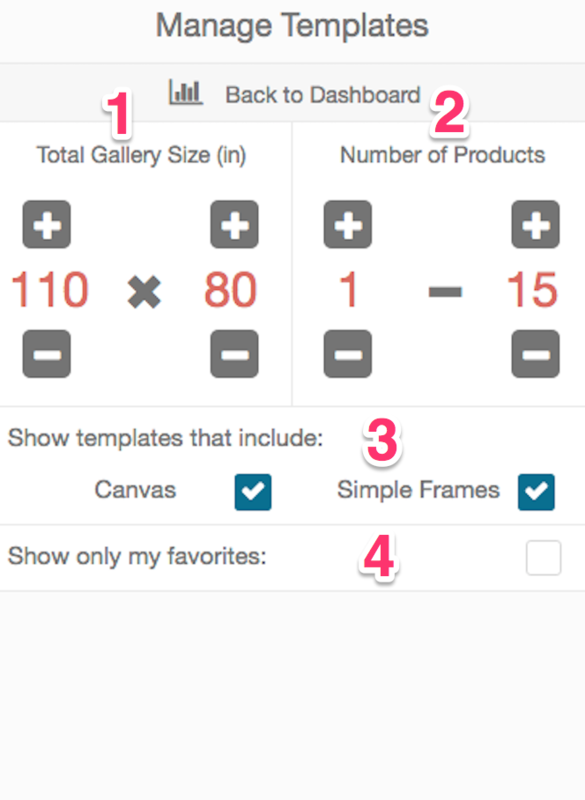 Set a range for the number of products that the template must have to be included. You may include / exclude various product types. If a template contains at least one of the checked product types, the template will show up. You may limit the templates you include to only show your favorites. Favorites have a blue background instead of the gray.